BOLOSKY, W. J., BRADSHAW, D., HAAGENS, R. B., KUSTERS, N. P., AND LI, P. Paxos replicated state machines as the basis of a high-performance data store. In Proc. NSDI’11, USENIX Conference on Networked Systems Design and Implementation (2011), USENIX, pp. 141–154. BURROWS, M. The Chubby lock service for loosely- coupled distributed systems. In Proc. OSDI’06, Sympo- sium on Operating Systems Design and Implementation (2006), USENIX, pp. 335–350. CAMARGOS, L. J., SCHMIDT, R. M., AND PEDONE, F. Multicoordinated Paxos. In Proc. PODC’07, ACM Sym- posium on Principles of Distributed Computing (2007), ACM, pp. 316–317. CHANDRA, T. D., GRIESEMER, R., AND REDSTONE, J. Paxos made live: an engineering perspective. In Proc. PODC’07, ACM Symposium on Principles of Distributed Computing (2007), ACM, pp. 398–407. CHANG, F., DEAN, J., GHEMAWAT, S., HSIEH, W. C., WALLACH, D. A., BURROWS, M., CHANDRA, T., FIKES, A., AND GRUBER, R. E. Bigtable: a distributed storage system for structured data. In Proc. OSDI’06, USENIX Symposium on Operating Systems Design and Implementation (2006), USENIX, pp. 205–218. CORBETT, J. C., DEAN, J., EPSTEIN, M., FIKES, A., FROST, C., FURMAN, J. J., GHEMAWAT, S., GUBAREV, A., HEISER, C., HOCHSCHILD, P., HSIEH, W., KAN- THAK, S., KOGAN, E., LI, H., LLOYD, A., MELNIK, S., MWAURA, D., NAGLE, D., QUINLAN, S., RAO, R., ROLIG, L., SAITO, Y., SZYMANIAK, M., TAYLOR, C., WANG, R., AND WOODFORD, D. Spanner: Google’s globally-distributed database. In Proc. OSDI’12, USENIX Conference on Operating Systems Design and Implemen- tation (2012), USENIX, pp. 251–264. COUSINEAU, D., DOLIGEZ, D., LAMPORT, L., MERZ, S., RICKETTS, D., AND VANZETTO, H. TLA+ proofs. In Proc. FM’12, Symposium on Formal Methods (2012), D. Giannakopoulou and D. Me ́ry, Eds., vol. 7436 of Lec- ture Notes in Computer Science, Springer, pp. 147–154. GHEMAWAT, S., GOBIOFF, H., AND LEUNG, S.-T. The Google file system. In Proc. SOSP’03, ACM Symposium on Operating Systems Principles (2003), ACM, pp. 29–43. 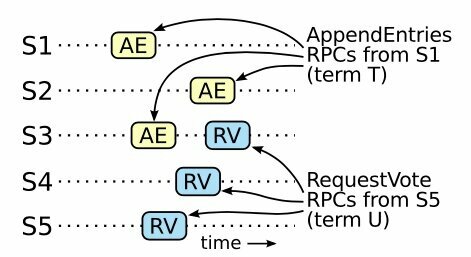 GRAY,C.,ANDCHERITON,D.Leases:Anefficientfault- tolerant mechanism for distributed file cache consistency. In Proceedings of the 12th ACM Ssymposium on Operating Systems Principles (1989), pp. 202–210. HERLIHY, M. P., AND WING, J. M. Linearizability: a correctness condition for concurrent objects. ACM Trans- actions on Programming Languages and Systems 12 (July 1990), 463–492. 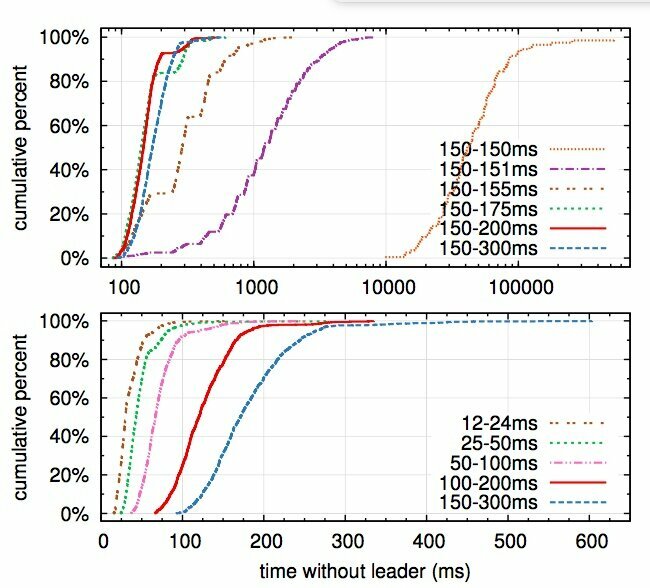 HUNT, P., KONAR, M., JUNQUEIRA, F. P., AND REED, B. ZooKeeper: wait-free coordination for internet-scale systems. In Proc ATC’10, USENIX Annual Technical Con- ference (2010), USENIX, pp. 145–158. JUNQUEIRA, F. P., REED, B. C., AND SERAFINI, M. Zab: High-performance broadcast for primary-backup sys- tems. In Proc. DSN’11, IEEE/IFIP Int’l Conf. on Depend- able Systems & Networks (2011), IEEE Computer Society, pp. 245–256. KIRSCH, J., AND AMIR, Y. Paxos for system builders. Tech. Rep. CNDS-2008-2, Johns Hopkins University, 2008. LAMPORT, L. Time, clocks, and the ordering of events in a distributed system. Commununications of the ACM 21, 7 (July 1978), 558–565. LAMPORT, L. The part-time parliament. ACM Transac- tions on Computer Systems 16, 2 (May 1998), 133–169. LAMPORT, L. Paxos made simple. ACM SIGACT News 32, 4 (Dec. 2001), 18–25. LAMPORT, L. Specifying Systems, The TLA+ Language and Tools for Hardware and Software Engineers. Addison- Wesley, 2002. 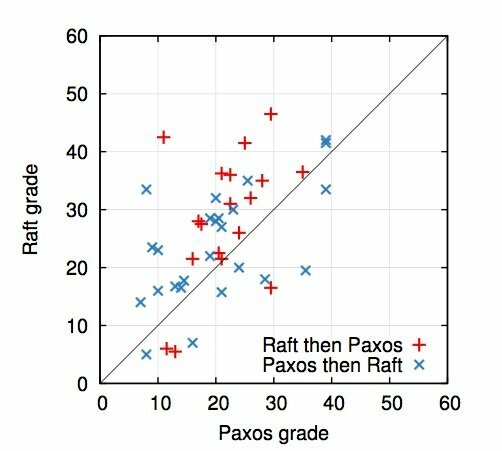 LAMPORT, L. Generalized consensus and Paxos. Tech. Rep. MSR-TR-2005-33, Microsoft Research, 2005. LAMPORT, L. Fast paxos. Distributed Computing 19, 2 (2006), 79–103. LAMPSON, B. W. How to build a highly available system using consensus. In Distributed Algorithms, O. Baboaglu and K. Marzullo, Eds. Springer-Verlag, 1996, pp. 1–17. LAMPSON, B. W. The ABCD’s of Paxos. In Proc. PODC’01, ACM Symposium on Principles of Distributed Computing (2001), ACM, pp. 13–13. LISKOV, B., AND COWLING, J. Viewstamped replica- tion revisited. Tech. Rep. MIT-CSAIL-TR-2012-021, MIT, July 2012. LORCH, J. R., ADYA, A., BOLOSKY, W. J., CHAIKEN, R., DOUCEUR, J. R., AND HOWELL, J. The SMART way to migrate replicated stateful services. In Proc. Eu- roSys’06, ACM SIGOPS/EuroSys European Conference on Computer Systems (2006), ACM, pp. 103–115. MAO, Y., JUNQUEIRA, F. P., AND MARZULLO, K. Mencius: building efficient replicated state machines for WANs. In Proc. OSDI’08, USENIX Conference on Operating Systems Design and Implementation (2008), USENIX, pp. 369–384. MAZIE` RES, D. Paxos made practical.http://www.scs.stanford.edu/~dm/home/papers/paxos.pdf , Jan. 2007. MORARU, I., ANDERSEN, D. G., AND KAMINSKY, M. There is more consensus in egalitarian parliaments. In Proc. SOSP’13, ACM Symposium on Operating System Principles (2013), ACM. OKI, B. M., AND LISKOV, B. H. Viewstamped replication: A new primary copy method to support highly-available distributed systems. In Proc. PODC’88, ACM Symposium on Principles of Distributed Computing (1988), ACM, pp. 8–17. 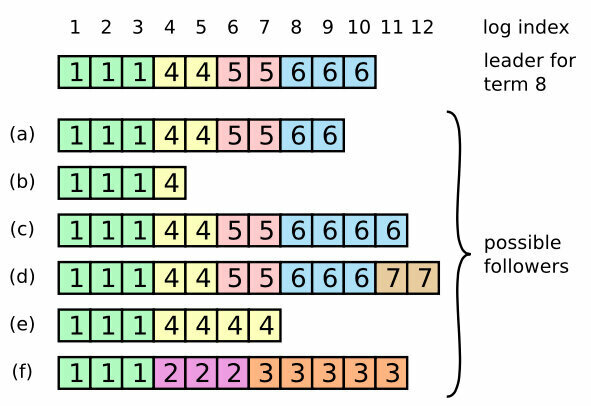 O’NEIL, P., CHENG, E., GAWLICK, D., AND ONEIL, E. The log-structured merge-tree (LSM-tree). Acta Informat- ica 33, 4 (1996), 351–385. ONGARO, D., AND OUSTERHOUT, J. 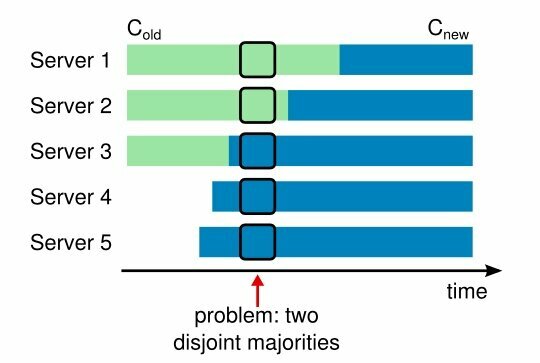 In search of an understandable consensus algorithm. In Proc ATC’14, USENIX Annual Technical Conference (2014), USENIX. OUSTERHOUT, J., AGRAWAL, P., ERICKSON, D., KOZYRAKIS, C., LEVERICH, J., MAZIE`RES, D., MI- TRA, S., NARAYANAN, A., ONGARO, D., PARULKAR, G., ROSENBLUM, M., RUMBLE, S. M., STRATMANN, E., AND STUTSMAN, R. The case for RAMCloud. Com- munications of the ACM 54 (July 2011), 121–130. 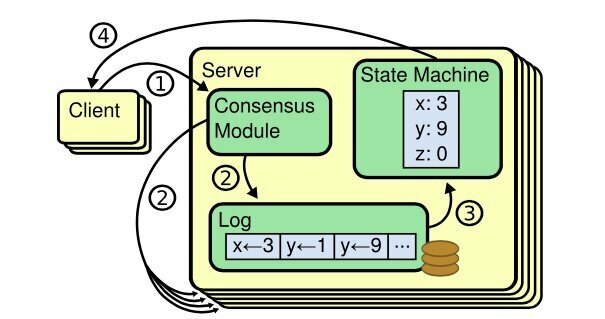 Raft consensus algorithm website. http://raftconsensus.github.io. REED, B. Personal communications, May 17, 2013. 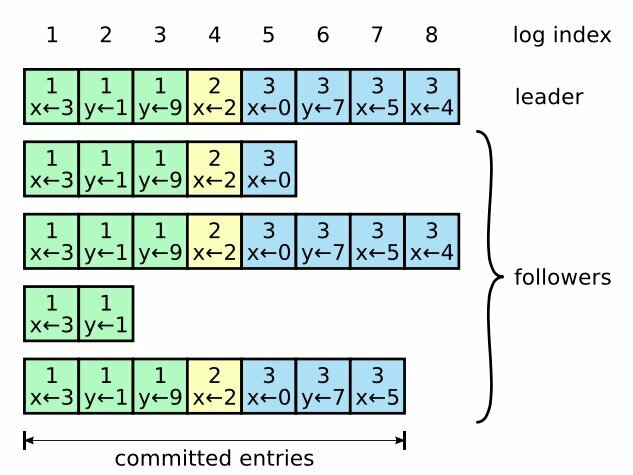 ROSENBLUM, M., AND OUSTERHOUT, J. K. The design and implementation of a log-structured file system. ACM Trans. Comput. Syst. 10 (February 1992), 26–52. SCHNEIDER, F. B. Implementing fault-tolerant services using the state machine approach: a tutorial. ACM Com- puting Surveys 22, 4 (Dec. 1990), 299–319. 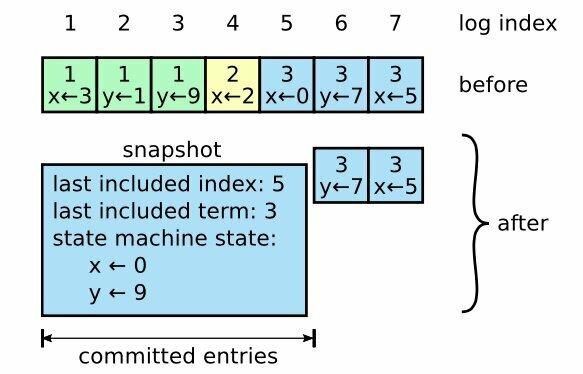 SHVACHKO, K., KUANG, H., RADIA, S., AND CHANSLER, R. The Hadoop distributed file system. In Proc. MSST’10, Symposium on Mass Storage Sys- tems and Technologies (2010), IEEE Computer Society, pp. 1–10. VAN RENESSE, R. Paxos made moderately complex. Tech. rep., Cornell University, 2012.